Comments Off on Rebecca Black Covers Rihanna's song "Stay"
As most of you all remember, Rebecca Black, famously known as the singer of “Friday,” has covered one of Rihanna’s song, “Stay” with Dave Days. Surprisingly, it’s not as bad as most of you might think! After taking a few singing lessons, Rebecca Black has made a come back, check out her cover of “Stay” by Rihanna right here! 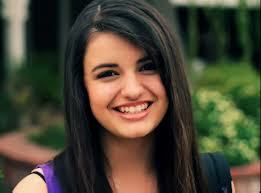 Rebecca Black Releases New Music Video!